RUMSON, NJ: RESOURCES Real Estate in Rumson is proud to announce the recipients of the company’s sales awards for 2014. The sales associates were recognized for their professionalism, exceptional client service and sales production. The Sterling Award is presented to associates with property sales totaling between $5 and $10 million. Recipients include Patrice Cicalese-Carden, Helen George, Linda Gillespie, Mary Lynn Hughes, Margaret Kemler and Irene Zitzner. The Ambassador Award is given to agents with property sales of $3 – 5 million and was awarded to Michele Coyle, Gina Farkouh and Kathryn Ward Grabowy. The Governor Award recognizing team members with sales totalling $2 – 3 million. The agents receiving this award were Vanessa Dooley, Colleen Duffney and JoAnn Kulat. The Diplomat Award is presented to agents selling between $1 and 2 million dollars worth of real estate. The agents receiving this award were Tammy Brindise, Patricia Cahill, Linda Hughes, Mary Hurl and Laura Wicks. 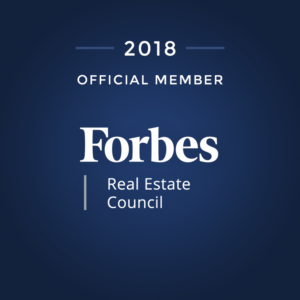 “We celebrate these agents not only to acknowledge their efforts but also to encourage our entire company to strive for greater success in the service of our clients,” said Thomas McCormack, Broker-Managing Partner. Resources Real Estate is a full-service independent residential brokerage opened by Carolynn Diakon in 2000. Thomas McCormack, with the company since 2002, joined her as a partner in 2010. Resources Real Estate is located at 112 East River Road in Rumson, NJ, 36 Beach Road in Monmouth Beach, 4A West Front Street in Red Bank, NJ and 65 First Avenue in Atlantic Highlands, NJ. For more local real estate information or to inquire about a career in real estate, you can call (732) 212-0440 or visit resourcesrealestate.com.